At 4.45pm on Thursday 26 October 2017, wind gusts of up to 89km/h and large hail stones were recorded west of Brisbane. 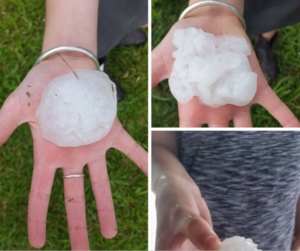 While reports of golf ball sized hail were consistent across the affected area, there was a social media report of hail up to 7.8cm at Dungog. 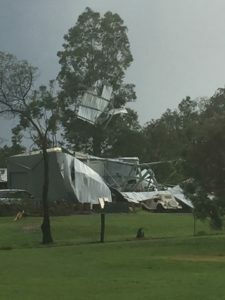 The Bureau of Meteorology issued a severe thunderstorm warning for the Ipswich, Logan, Lockyer Valley, Gold Coast, Toowoomba, Brisbane and Somerset areas, warning of thunderstorms that were likely to produce further destructive winds, hail and heavy rainfall which could lead to flash flooding. Several buildings lost roofs and make safes were required for hail damage to skylights and roofs. 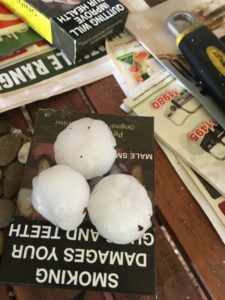 Widespread reports of hail damage were received across the Darling Downs region including claims at Centenary Heights, Glenvale, Kearneys Spring, Middle Ridge, Rangeville and Westbrook. The severe thunderstorm warning was cancelled by the BOM just before 6.30pm after the system moved out to sea. 4:25pm – Golf ball size hail was reported at Josephvile. 4:35pm – 10 cent size hail was reported at Mount Maroon. 4:45pm – 89km/h wind gust was recorded at Toowoomba. 5:10pm – 4cm size hail was reported at Toowoomba. To learn what causes a thunderstorm to become a thunderstorm <<CLICK HERE>> to see our post from January 2017!